Recently we stopped in at a very fancy fruit store in Tokyo Midtown, in a very fancy part of Roppongi (also the location Tokyo’s Ritz-Carlton, to give you some idea.) There were lots of hilariously overpriced fruits, but this one in particular caught our eye. In fact, it was so expensive that there was no price tag. You know what that means–if you have to ask, you probably can’t afford it! It’s really cute, and perhaps the perfect way to splash out and declare your love in the summer time, but it’s way too expensive for my tastes! This is the kind of thing that I would happily eat, but not so happily pay for. It’s also the kind of thing that has no place in my life, but I’m still glad it exists, for some reason. What do you think? Countdown to our panel at AX: 4 days! There’s still time to enter our giveaway! 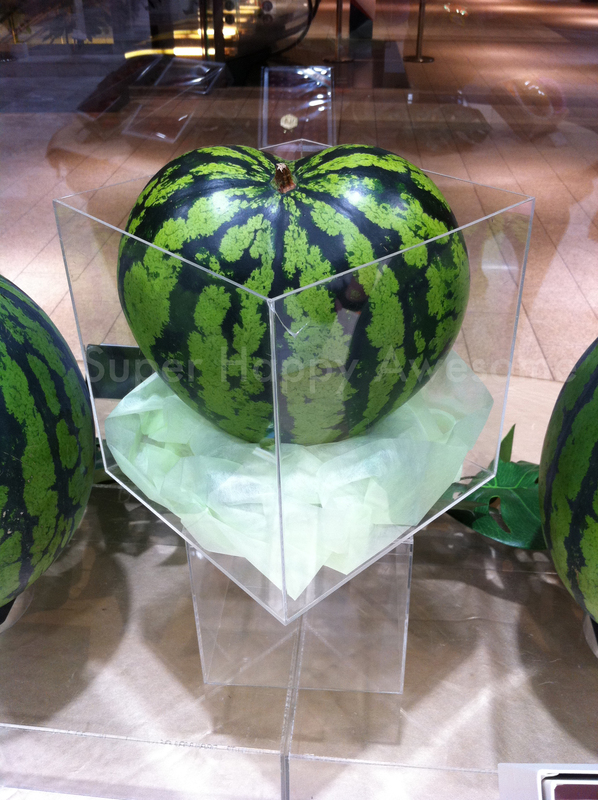 This entry was posted in Japan and tagged cute, fruit, green, heart, pink, sweet, watermelon. Bookmark the permalink. 3 Responses to Heart Shaped Watermelon! We saw 2 Mangos at Mitsokashi for $380 yesterday…. I asked my mom to buy them for me.